UK’s modern and contemporary art auction market recorded its highest growth in 2018. Image courtesy of Phillips. According to ArtTactic Global Art Market Outlook report, London’s post-war and contemporary sales at auction reached their highest level since 2010 at $1.17bn. Based on sales by Christie’s, Sotheby’s and Phillips in the UK, values in 2018 grew 51.8% on 2017 figures - almost double the 2016 result of $580.2m. This is compared with a 7.2% decline in New York at the same auction houses’ post-war and contemporary sales which raised a total of $2.51bn during the year, compared to $2.71bn in 2017. ArtTactic Global Modern and contemporary art sales in 2018. 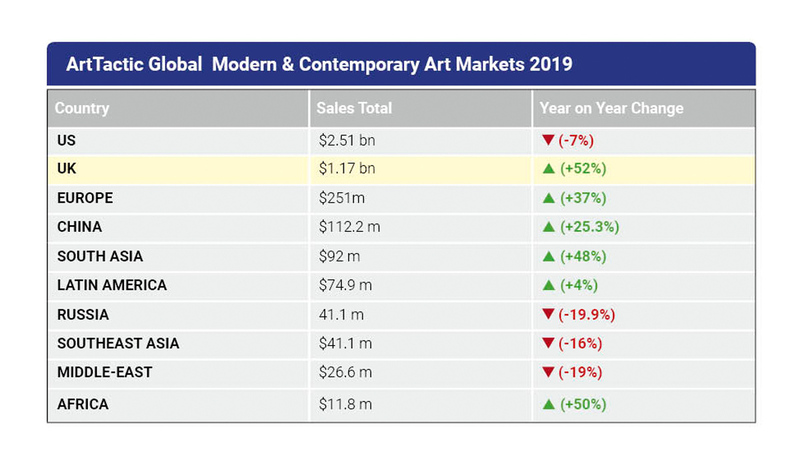 A survey, also part of the ArtTactic report, noted that market sentiment appeared to take “a u-turn this year” as “global economic and political uncertainty could derail the fragile confidence in the buoyant art market in the coming 12 months”. The latest survey, conducted in January 2019, found 61% of respondents were negative towards the global economic outlook in the coming 12 months (against 12% surveyed in January 2018). It said the “global art market could be facing an uphill struggle in the wake of slowing economic growth, triggered by trade-wars and the uncertainty around Brexit”. Despite this it noted that the US, China and Europe are predicted to “hold up well despite the increasing market uncertainty”. The survey findings are based on a sample of 103 key art market participants including auction specialists, collectors, dealers, advisers and curators. 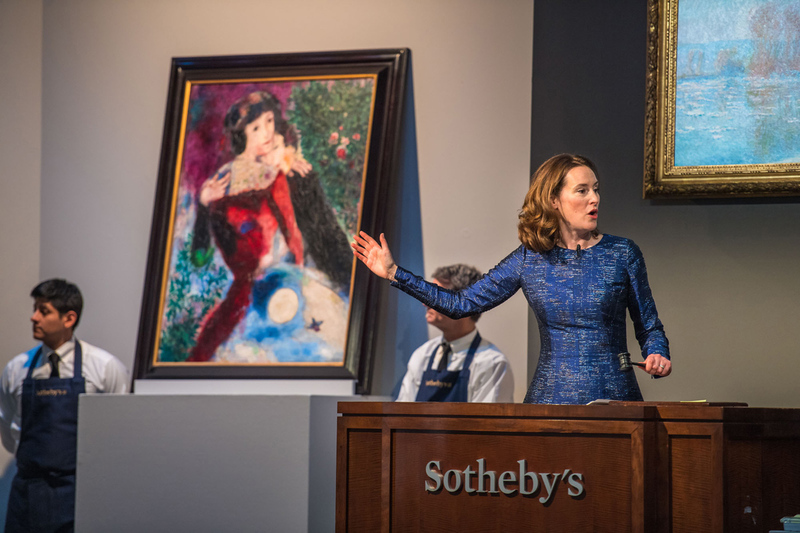 An impressionist and modern art auction at Sotheby's. Image courtesy of Sotheby's.